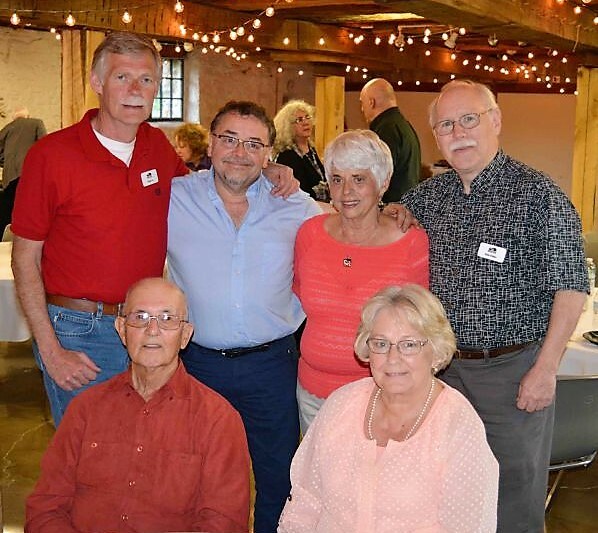 The Delaware County Historical Society held our annual Volunteer Recognition Event at The Barn at Stratford on April 27, 2017. 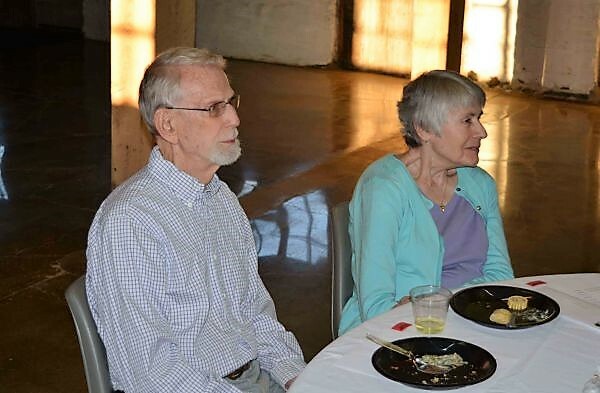 The Society, almost entirely volunteer, takes this event to recognize the enormous contribution of all those who volunteer their time, talents, ideas, and enthusiasm to the benefit of the Society and the entire Delaware county community. 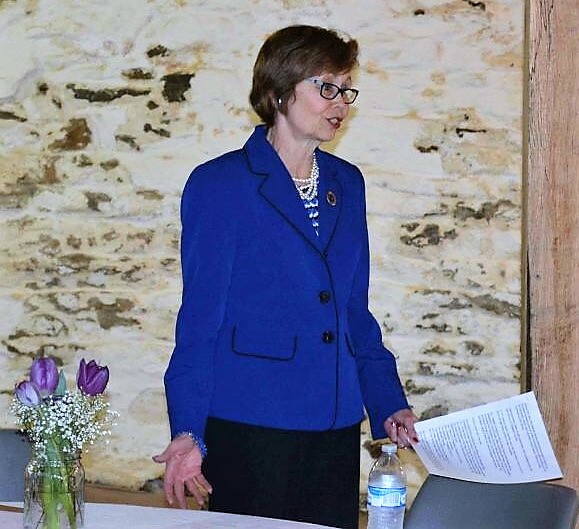 Every volunteer is unique and important to the work, mission, and success of the Delaware County Historical Society. Presenting outreach local history programs to county school classes, senior facilities, and anyplace else we can interest people in Delaware County History. Keynote Speaker – Delaware County Commissioner Barb Lewis Barb Lewis spoke about her personal experiences with the Society’s activities and volunteers. She noted the diversity of services and programs that the Society’s volunteers provide to the entire county; seniors, adults, and children throughout the year. In conclusion, Ms. Lewis announced that the Commissioners had approved a twenty-nine thousand dollar grant for the Society’s digitization projects, the largest such grand approved! Karen set the tone for the volunteer recognition awards by recognizing the contributions of every volunteers. Karen, on behalf of the entire Board, thanked all the volunteers and called attention to the letter of recognition that each volunteer was given. The letter, from Board President Brent Carson, acknowledges their specific efforts and contributions to the Society this past year. Marilyn Cryder’s longtime dedication to the Society and her years of volunteer contributions in recognized by giving her name to the Volunteer of the Year award. Donna Meyer described the multiples roles that led to this year’s award winner before calling Rick Fisher to receive the award. 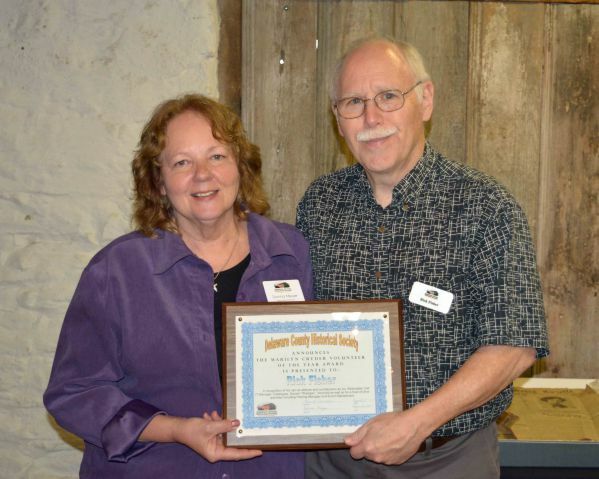 In 2016, The Society established a “Volunteer Hall of Fame” to recognize those volunteers who over a period of years exemplified the spirit of volunteering at the Society. An initial group of Hall of Fame Volunteers was inducted at that time. The Hall of Fame Inductees from 2016 & 2017: [front] Lloyd “Buck” Shoaf and Sharlene Shoaf; [back] Ralph Au, Benny Shoults, Karen Cowan, Rick Fisher. Barb Lewis, whose home is in Genoa Township, began serving as Commissioner of Delaware County Ohio on January 1, 2015. Her agenda is simple—good governance: Keeping our taxes low, our community safe, and our infrastructure sound; Responsibly developing and protecting our county’s resources; Encouraging well-paying jobs in the private sector; Being mindful of the needs of our less fortunate; Being open, clear and honest about everything I say and do. Visit the Society Volunteer Webpage, or email Info@DelawareOhioHistory.org or call 740-369-3831, extension 3.